In all my life, I have never felt this small—by day, I am nothing more than a sweaty speck on the land, and at night, a single star shining from a million miles away seems bigger than me, down here on Earth, alone in my tent. The Art of "No Thank You"
The Mohammads have taken to calling me “Sheikh Nawaf”—even introducing me as such to strangers we meet—and yet it took me almost a week to get a proper translation of my nickname. 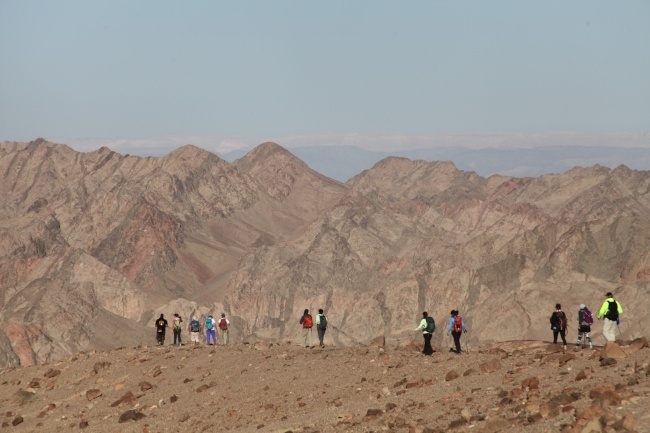 In our hours spent hiking, the linguistic question sparked a small debate among the Arabic-speakers in our group. 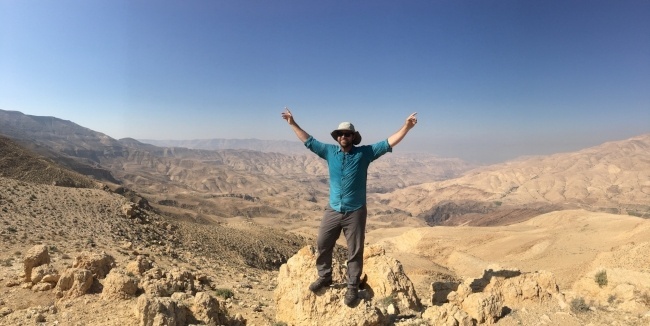 Officially past the halfway point on the Jordan Trail Thru-Hike, Andrew has shared with us many breathtaking photos and exciting and heartwarming tales of adventure. 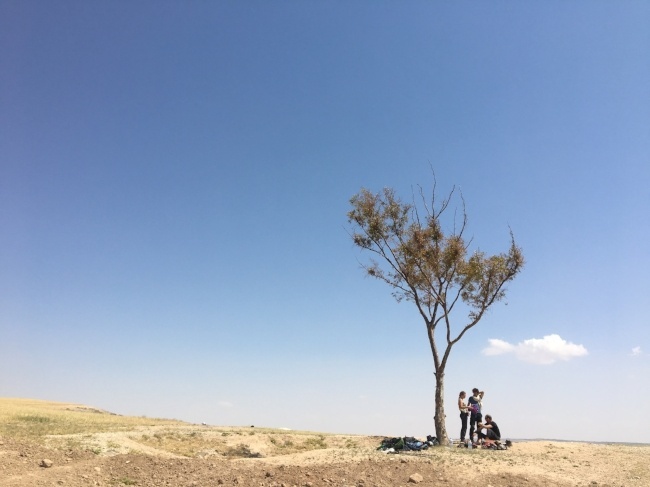 He has been documenting many of these through his blog, but Jordan Tourism Board North America would like to share with you some highlights of his trip so far. We heard him before we saw him—the puppy was yelping in the road, running in circles and hopping around, struggling and clearly suffering. It’s getting harder and harder to stick my tent pegs into the ground. 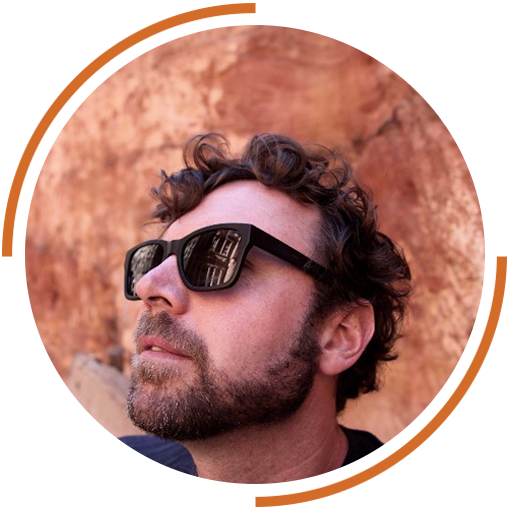 Andrew Evans, an award winning author, travel writer, TV host and lover of Jordan has chosen to embark on the Jordan Trail Thru Hike. 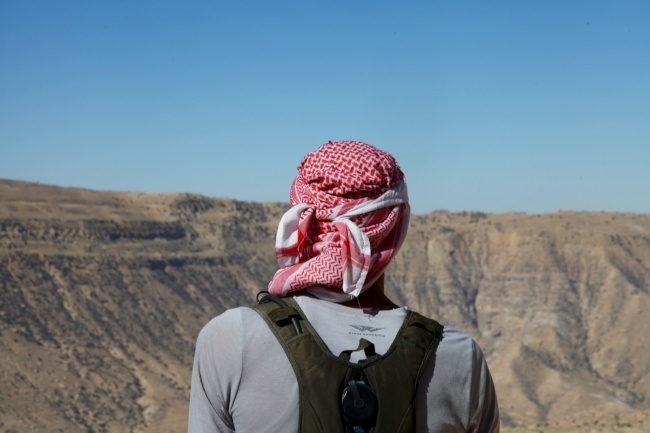 He departs Um Qais on March 31 and will reach his final destination, Aqaba, on May 13. 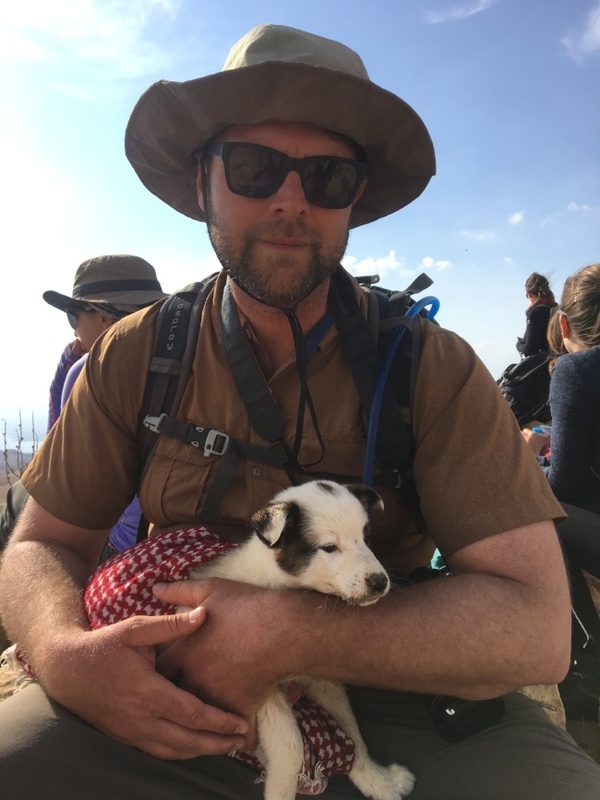 Follow his travels and experiences here on Stories From The Jordan Trail and on the Andrew Walks Jordan homepage. 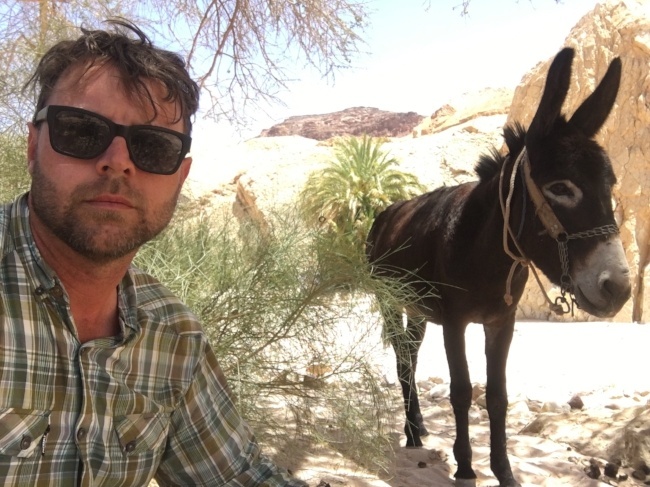 If you’re interested in learning more about the adventures Andrew has been on, check out andrewevans.org. Learn about each of Jordan’s destinations and start building your own custom itinerary to send to your friends. 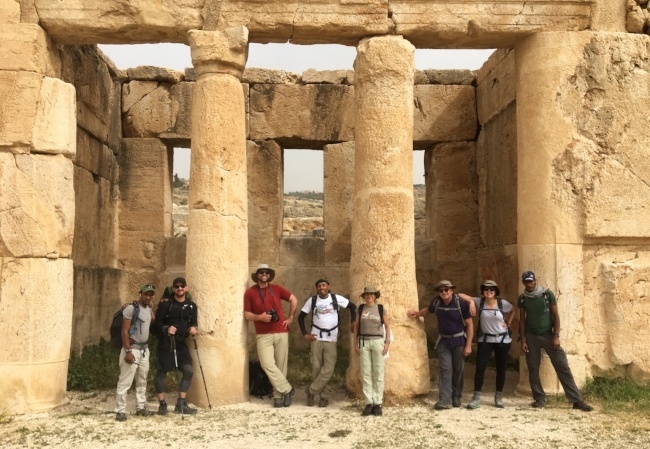 On March 31st Andrew Evans will depart from Um Qais on a 600-km walk through the Jordan Trail, reaching his final destination of Aqaba and the Red Sea. This 40-day hike, comprised of 8 sections, is referred to as the Thru-Hike. 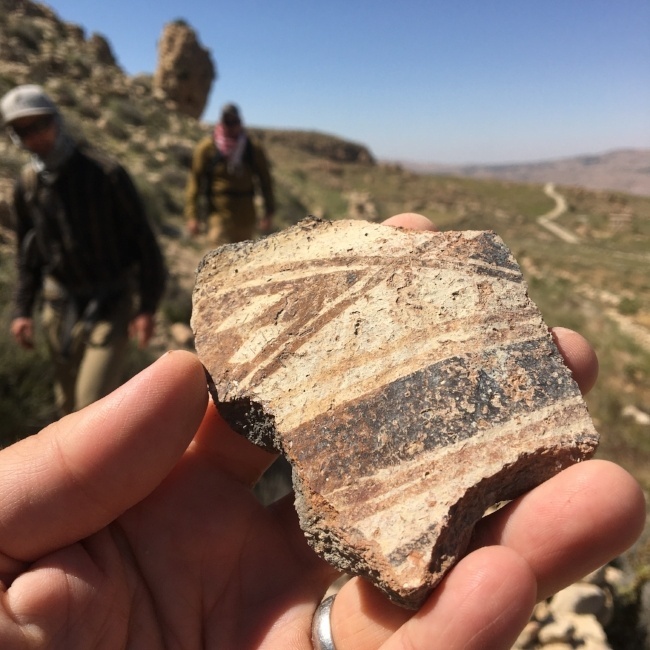 While crossing Jordan by foot is one of the oldest adventures in the world, the Jordan Trail is brand new. Andrew will be one of the first few to complete the Thru-Hike. Without the dedication of Andrew, Jordan Tourism Board North America, VisitJordan.com, The Jordan Trail Association, and Intrepid Travel, this trip would not have been possible. 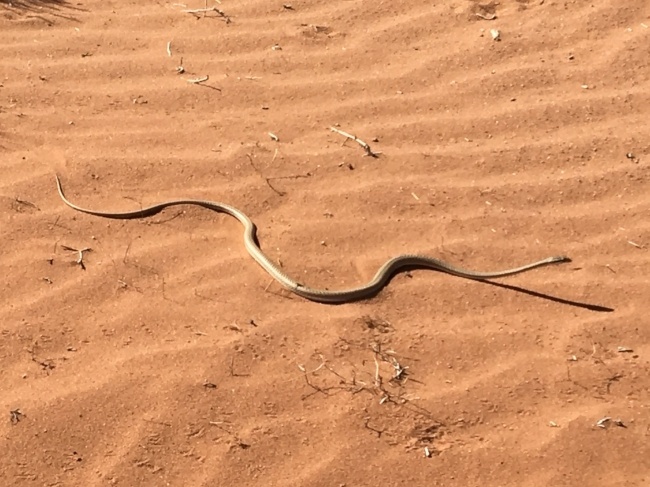 Learn more about Andrew’s 600-km trek here.